Here’s an outfit for a Winter rainy day. Yes, I’m without an umbrella because it isn’t pouring rain but drizzling and misty! Are there items that you neglect over newer purchase? Do share! 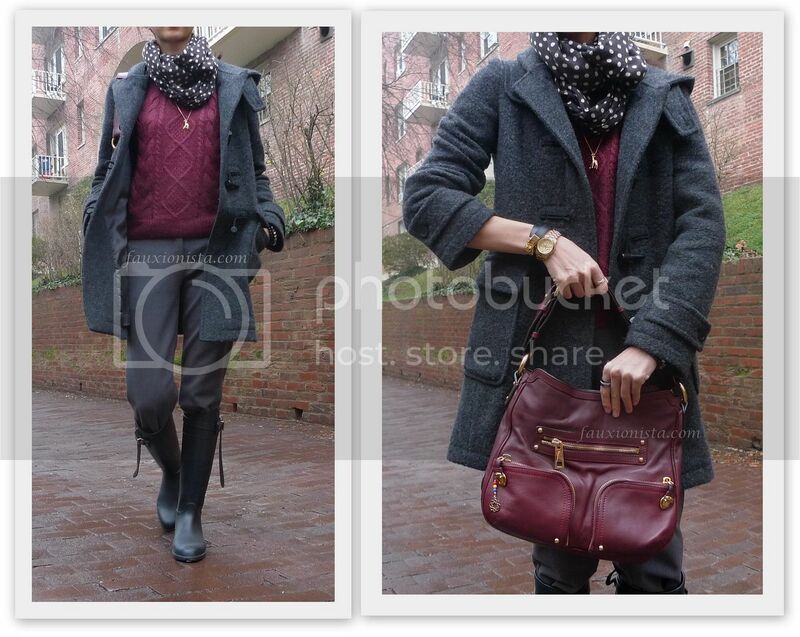 This entry was posted in Fashion, Outfit and tagged bordeaux, Burberry, burgundy, Cartier, H&M, Hermes, Marc Jacobs, Michael Kors, Old Navy, oxblood red, Uniqlo on January 14, 2013 by fauxionista. 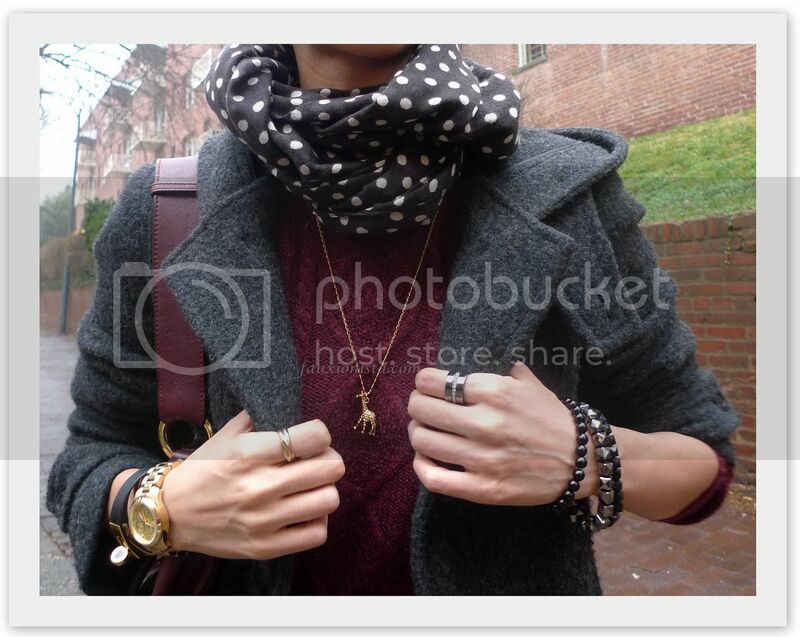 Yes, I’m substituting my lack of outfit pics with another post of others’ outfits! (It was yet another misty foggy morning when I left the house.) I’ve always have a soft spot for Anja Rubik who enjoys pushing the envelope. Her off duty looks here are relatively classic though. I’m definitely loving her Burberry leather jacket in the second row. It really makes me want to finally get one for my wardrobe! Which model’s off duty looks do you adore, if any? This entry was posted in Fashion and tagged Anja Rubik, Burberry, classic, leather, off duty on October 3, 2012 by fauxionista. I have been holding back from purchasing a pair of rain boots for the longest time, EVER (since arriving here in 2007, really). 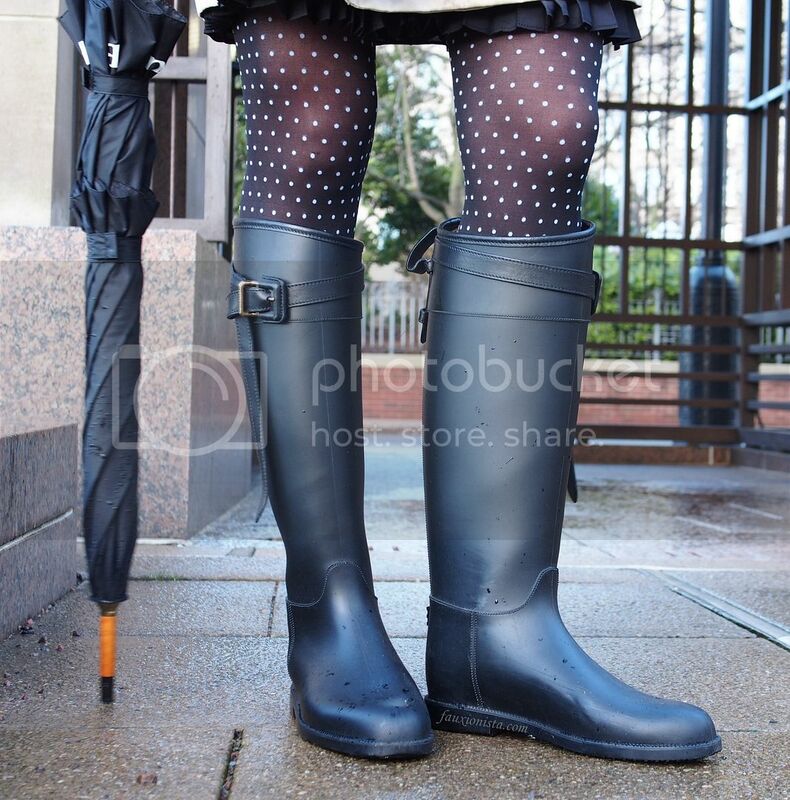 I just couldn’t quite justify the need for a pair although it rains quite a fair bit here in DC. I’d always be fine but today, once and for all, I believe I need to own a pair of rain boots. Why? Because I came into work with puddles in my ballet flats! Just a short walk from the Metro to work (a 10 min walk) was all it took to convince me that I need to just dig in, do the whole cost per wear thing, and just buy a pair! 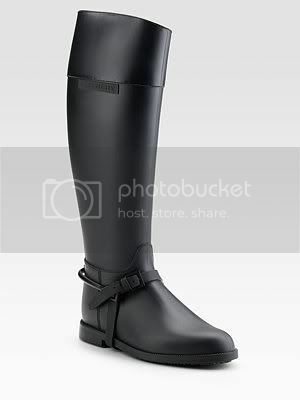 Of course, I was just looking at rain boots last week and was pondering about it. My snow boots are dead (sole no longer has much grip, if at all) and a good solid pair of rain boots should be able to work as snow boots. 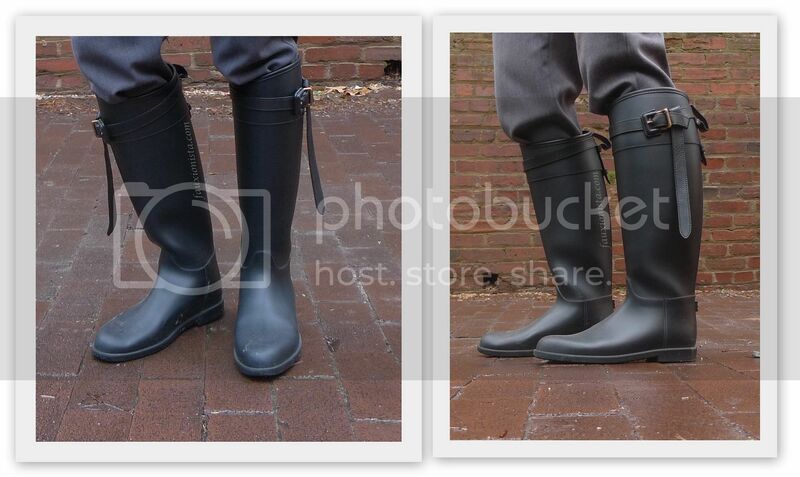 I went to Bloomingdales in the mall on Friday and tried on these two pair of Hunter rain boots. 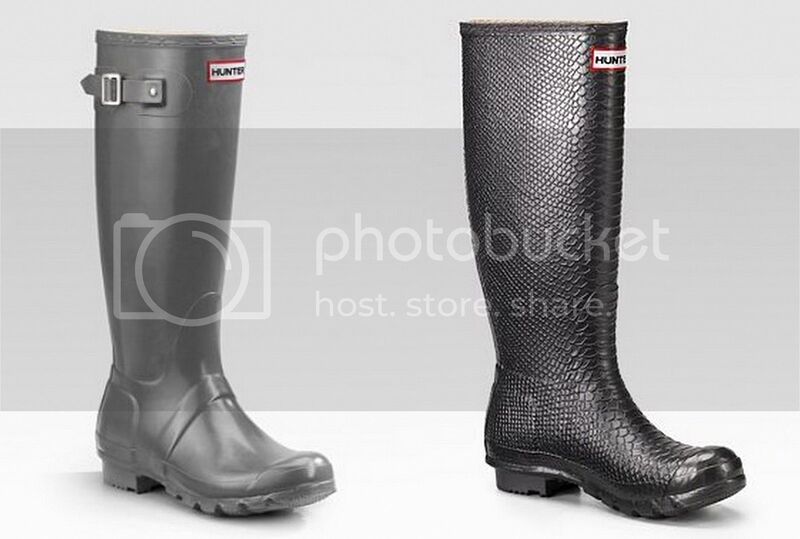 The regular in Graphite ($115) and the Croc Boa version ($225). I have a soft spot for exotics and even though these were only croc-embossed, I liked them but just couldn’t quite justify spending that much upfront for a pair of rain/snow boots. My sister of course, being the devil that she is (not to mention a shoe-holic) proceeds to lecture me on cost per wear. Well, that is not new to me but somehow I just have a hard time paying that much upfront. I know, it is a mental hurdle! 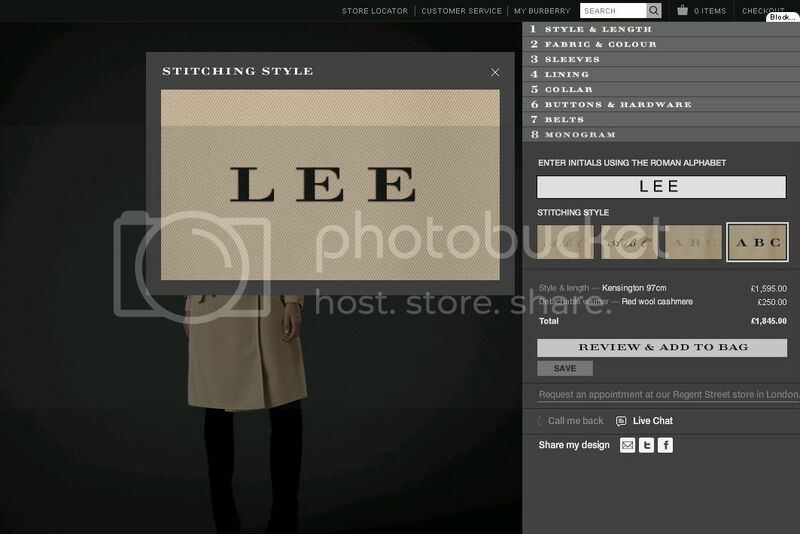 In any case, the next day I receive an email from one of the high-end departmental stores on the new items from Burberry and since I had previously lusted after a pair of rain boots from them, I decided to take a peek. Ha, bad idea! I fell for their new rain boots. Would you blame me, though? 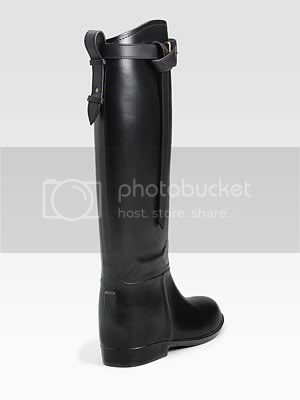 I have always had an affinity for equestrian boots and this pair just tugs at my heart strings upon first sight. Also, the loop on the top is just so stylish yet it can be a classic. Yes, I am a classic girl at heart through and through. Heh.So, what do I do? The cogs and wheels starts spinning in my head, plotting on how best to purchase a pair of high-end rain/snow boots for the least amount of money. Saks was naturally my first choice as I have a Mastercard with them which equates free shipping and there isn’t a store in DC which means I should be able to get it tax-free. Also, I have some points accumulated from my other credit card which I could easily convert to a gift certificate to Saks to help offset the retail price.Next, I went to the Saks website and oh, bother. 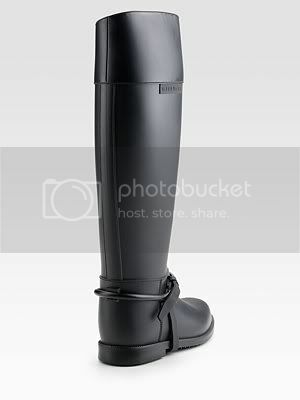 I find another pair of rain boots from Givenchy that tugs at my heart strings. Bah! 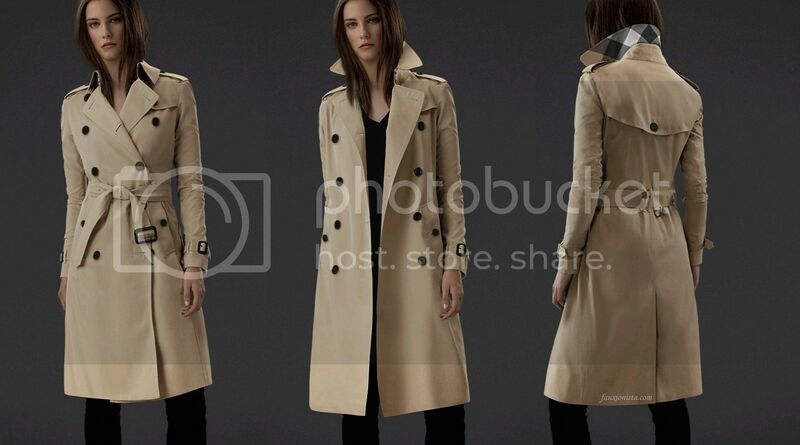 It is very similar to the pair of Burberry above. 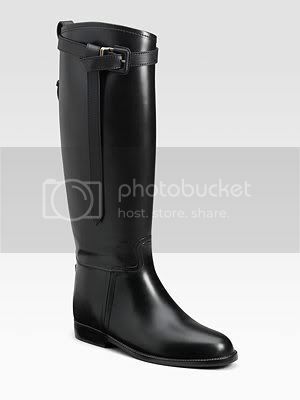 It has the same equestrian look similar to the pair of Burberry with the exception that the loop is right at the ankle, giving it a more classic look as compared to the pair of Burberry. However, the Burberry is made from washed leather while the Givenchy is made from rubber and there’s only a $25 price difference between them. Hmm..I think it is time to order both pairs and try them and perhaps decide from there. What do you think? Which pair do you favor? Input much appreciated! 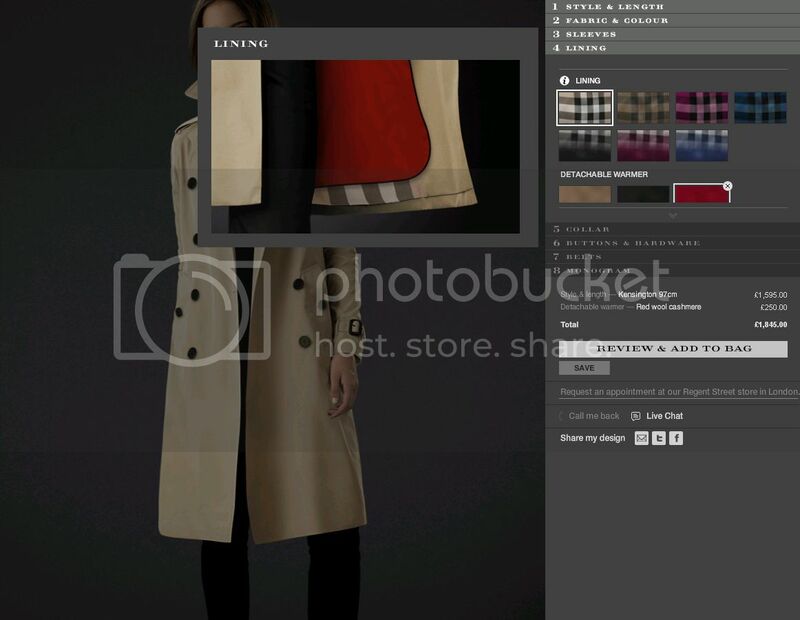 This entry was posted in Fashion, Shopping and tagged Burberry, equestrian, Givenchy, Hunter, rain boots, Saks, snow boots, washed leather on August 18, 2010 by fauxionista.